Roku is an amazing piece of tech that is providing a better home entertainment experience. Roku is a streaming device that let you stream the movies, TV Shows right on your TV. There are a lot of other streaming devices and Roku is one of them. Roku Screen Mirroring allows you to mirror all the great stuff from your Android phone or Windows PC/Laptop to Roku which indeed enhances the experience. Basically, Roku has everything that an ideal streaming device should have. Along with streaming services, Roku also has a great option of Roku Screen Mirroring. There are the times when we have something on our Android smartphone or on our windows laptop that we wanted to enjoy on a bigger screen. That can be anything, be it holidays photos, videos, Instagram feeds, Facebook feeds, games, music or any other possible media. At that time, you can use screen mirroring on Roku. Before you proceed further, there is an important message. Accessing content on Kodi or any other streaming app is not legal in some countries and you may face legal procedures for violating legal rules. 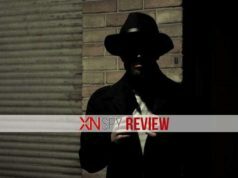 To access internet anonymously, it is highly recommended to use IPVanish VPN. IPVanish VPN is Award Winning VPN under the category Best VPN by The T3 Award and recommended VPN by Speedtest by Ookla. IPVanish VPN is built for safe Streaming and with IPVanish, you can access Kodi add-ons & Kodi Builds and other geographically restricted content without getting traced. This is the first step towards Roku screen mirroring. First of all, you need to Enable the Screen Mirroring on Roku. Roku uses the Miracast app to mirror the screen on it. You don’t need to do anything for screen mirroring on Roku. You just need to enable the Screen Mirroring option in Roku. Most of the Android devices that are running Android 4.2 supports screen mirroring and if you have a Windows laptop, it should be running either on Windows 8.1 or Windows 10. Casting Windows 10 on Roku is pretty easy as Windows 10 provides an interactive interface to cast devices. To enable the Roku Screen Mirroring option, you need to go to the Settings option on Roku, then Go to System, the first you would see of Screen Mirroring. Open the Screen Mirroring and make sure, Enable Screen Mirroring is checked in. No Roku Screen Mirroring Option? If you don’t see screen mirroring option on Roku, make sure you have an updated Roku OS. To update the software of Roku, go to Settings, then go to System Update. You would see Check Now option here, just check if there any update available or not. If new Roku OS is available, go ahead and update the Roku OS. After updating, you would get the Screen Mirroring option on your Roku. Roku OS 8 has a lot of new updates. So, update the Roku OS to the latest Roku OS 8 one. After Enabling Roku Screen Mirroring, it is time to mirror Android screen on your Roku. It is absolute fun to mirror Android screen on Roku. You can mirror beautiful HD games, Instagram Feeds, Videos, Photos and other content that you used to store on your Android smartphone on Roku. Basically, you would get a big screen for your Android phone. Whatever you do on your phone would be projected on a bigger screen. If you have an Android smartphone running Android 4.2, you can leave it right here (Check for Laptop’s Screen Mirroring to Roku below) as your phone do not support screen mirroring. To mirror Android screen on Roku, go to Settings of your Android smartphone then Go to Display and then Cast. Here it would search for the available devices. If Screen Mirroring is enabled on your Roku, it would show the name of your Roku device. Once it gets detected, just tap on your Roku device name and it will get connected. Now, you can see your Android screen on Roku. You can enjoy any see everything that is on your Android phone on a bigger screen. It is super easy and super fun. Like Android devices, if you have Windows Laptop running on Windows 8.1 or Windows 10, you can mirror laptop screen on Roku. That is even more useful as you can surf the web on your tv. Like, if you shopping for the holiday season, you can mirror laptop screen on Roku so that all the family members can see what is new this holiday season? It is fun to shop online with family and friends. To mirror the laptop screen on Roku, first, make sure your laptop is running either on Windows 8.1 or Windows 10 and also, Roku screen mirroring is enabled. Once it gets done, Press Windows Key + P key (Windows 10) to open the Project option on your laptop. Here you would find a couple of options. You need to select Duplicate Screen option. After selecting the option, it would search for the devices that are capable of doing Screen Mirroring. 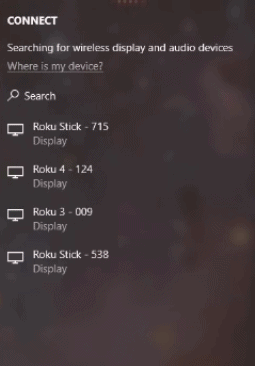 If the Roku Screen Mirroring is enabled, it would show the name of your Roku device. Once it was done, click on the Roku device you wanted to connect and it is done now. You would see your windows laptop screen on your Roku device. Isn’t that easy? Screen mirroring on Roku is a great experience but if you are looking for a device just to mirror screen of your smartphone/tablet, Roku is not for you. There are many devices that offer you a better experience than Roku Screen mirroring. 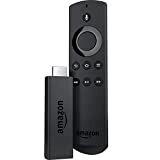 FireTV Stick is the first option that you can consider for Screen Mirroring. Firestick has an inbuilt option of Screen mirroring and you can easily mirror the Android smartphone/tablet screen on your TV. 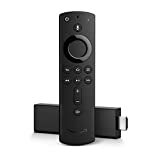 Along with that, Amazon Firestick has support for a lot of apps like Netflix, Hulu, Amazon Prime Video, Ted, Spotify and what not. For those who want to mirror Youtube on Firestick, here is something for you. You can easily mirror Youtube on your Firestick using the Cast option on Android. Once you have setup the Firestick, you will see a cast logo on Youtube app which will help you in mirroring Youtube on Firestick. Apart from Firestick, you can also use Google Chromecast for screen mirroring. Chromecast also has an inbuilt option for screen mirroring which is pretty good but talking about all over the experience of Chromecast over firestick, it is not that great. Chromecast doesn’t have its own User interface and uses a smartphone app to interact with the user. But if you just want screen mirroring, you can definitely use Google Chromecast for screen mirroring. So this is how you can mirror Android and Windows screen on Roku using Screen Mirroring option of Roku. Using this option, you can project anything that is on your Android phone or on your Windows laptop. You can enjoy rich entertainment on a bigger screen. Roku Screen Mirroring is same like Google’s Chromecast screen mirroring, Apple’s Airplay. 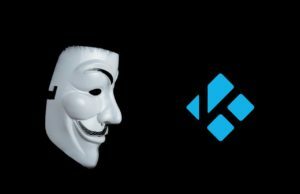 If you are using Kodi on Roku, make sure you are connected to VPN. There are a lot of VPN to try but you can give a try to NordVPN. You can download Nord VPN Android app on any android device and connect to anonymous network right away. But, screen mirroring on Roku is a little bit laggy. Moreover, there are compatibility issues. If your Android phone has Custom ROM installed then it might refuse to mirror Android screen. 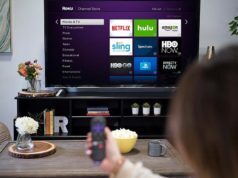 Overall, it is a wonderful feature for all Roku users and you can use it for the better entertainment experience. How is your experience of Roku Screen mirroring? How often do you mirror Android or Windows screen on Roku? Have any problem while Screen Mirroring on Roku? Share your thoughts in the comment section below. My Roku Express does not have enable screen mirror on it and so watched several videos and yes looked duplicate times. It is not even hidden under any other option. Can I use “All Screen” just as I do with Showbox now I know that it isn’t illegal.another question Ihat I have I have always heard it wasn’t illegal (yet) but was in the gray area. I know doing a lot of fire sticks for making money may be but not just to watch a channel that I myself download? What makes that illegal?? For some reason I keep losing the display mirroring between my PC with Windows 10 to my Roku. It connects and then disconnects after a few seconds. 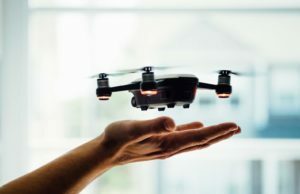 Are there further troubleshooting tips to keep the devices mirrored? There may be some Wifi issues. Connect limited devices with the router while mirroring. Maybe it helps. Let me know if you have any further issues. Enjoy!!! Sorry for the inconvenience you faced. I want to tell you that, this thing actually worked with my Roku. Maybe there are some wifi issues in your case. You have to connect both the devices with the same wifi connection. Try it and let me know. My screen mirroring works with my roku TV & note 4 for a short amount of time, about 20 minutes to be exact. But I don’t actually have wifi in my apartment. I download offline shows from netflix at work and then watch them on my phone at home. It would be nice if my screen mirror option didn’t just shut off….any ideas that could help? Please check for Roku OS update if any. Maybe there is a bug in Roku. My HTC One is picking up my Sharp Roku TV on the Media Output as a Miracast but it is unable to connect. I am not sure what is the problem. I tried with a S7 but it is not connecting anymore after connecting once. Look, there could be 3 possible solutions to your problem. One, make sure your both devices connected to the same network. Second, Update the Roku OS to the latest version if available. Third, Restart the Roku and Smartphone, then try again. Is there anyone out there who has had success in streaming from a Windows 8 or 10 PC (desktop or laptop) to a Roku device or Roku TV? Any idea why my Samsung Galaxy S7 doesn’t have a “Cast” option? Thanks. 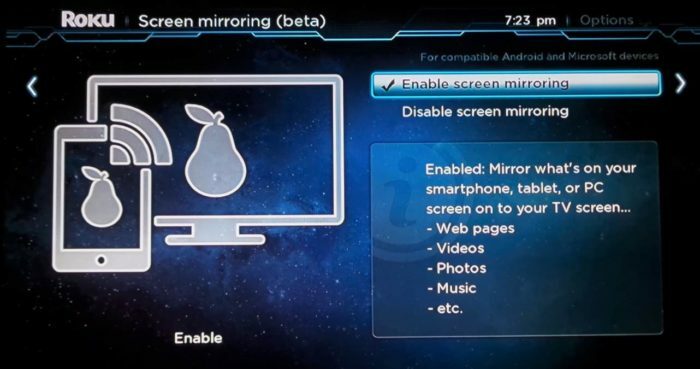 Samsung has Cast option by the name “Screen Mirroring”. Pull down the notification tray and extend the quick toggle options, there you will see Screen Mirroring, select Smart View and start mirroring. Thanks for the quick response! Mine doesn’t have that option. I’ve done a search in settings for “Screen Mirroring,” “Smart View” and at least 6 other similar terms I saw on other forums. Not finding anything. Ohh!! My bad. Let’s try something different. Try using an app called “All Cast”. The app is available on Play Store for free. Just install the app and open it. If I am not wrong, the app will search for Roku or any other smart device near you for casting the phone’s screen. Make sure Roku and your phone are connected to the same network. I am trying to set up “Screen mirroring” on my new, completely updated Roku stick. In settings, I go to “System” and “screen mirroring.” For “Screen mirroring mode” I have it set for “Always allow.” Under “Screen mirroring devices” it lists “none” for allowed devices and “none” for blocked devices. I do not have the option to “enable” or “disable” screen mirroring. Can you help? This article is very informative. It’s the best guide for beginners who don’t know about How to Mirror Android and Windows Devices on Roku. You discuss this step by step… That’s why I love your articles all the time. I can mirror from a Windows 10 laptop to a Roku 3 on my Vizio Smart TV but cannot mirror to a Roku Streaming Stick+ (model 3810). Updated all drivers and checked all settings but no luck. I was able to add the stick to my devices so my laptop can see the stick but it just can’t connect. ROKU does NOT work like a Microsoft MIRACAST dongle. A separate wireless network (ex. via a router – not your phone) that both your phone and your ROKU is is REQUIRED to mirror your phone to the ROKU. I don’t have wireless service at my home. I watch Amazon Prime and YouTube videos by pulling them up on my phone then I cast them to my TV via my Microsoft MIRACAST dongle. The ROKU works like Chromecast. They are not clear on this, nor is this article, or most written on this topic on the internet. There is no reason for a write up on it. It is common knowledge. Instead of being negative, why don’t you learn before commenting.